Inside of each Macy’s store, stylist experts are available to help you “discover tips, tricks and everything else you need to know to look and feel gorgeous,” according to the company’s makeup services section. Offering a variety of sessions to meet any beauty needs you have, the costs of a Macy’s makeup appointment, depending on the reason for your visit, can be 100% free or in the case of an appointment, it may come at a cost. How much does a Macy’s makeup appointment cost? The costs of a Macy’s makeup appointment will greatly depend on the reason for your visit and the brand of makeup you’re interested in. If you want to try out new products and learn more about them while shopping inside of the store, then most of the time, these sessions will be free for most brands; however, according to the company’s website, some brands will not offer complimentary services. Some brands, such as MAC Cosmetics, however, may require you to purchase a few products before they start the session. As you can imagine, the stylist, who often has a connection, training or even works with the makeup brand you’re considering, will use the latest and best products for your unique situation in the hopes you purchase the products afterward. He or she will listen to your concerns, vision and try their best to pick out a product in the line that works, all in the hopes that you may purchase some products. While you do not have to purchase the product after your session completes, the stylist, again, either hopes you purchase a product or even considers purchasing it from them in the future. Stylists and associates do work on commission, so as you can imagine, each sale will add to their paycheck. This isn’t the case for all brands, however, as some cosmetic brands do not work on commission, only an hourly rate. NOTE: These services are subject to change and are accurate as of this publishing date. 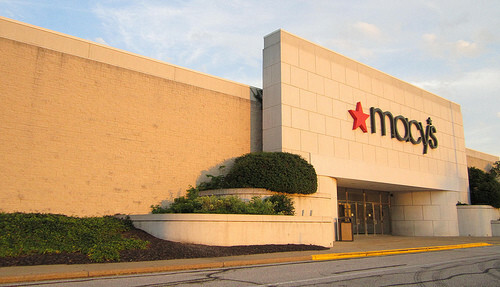 For more information as to what brands may or may not charge, we encourage you to visit/talk with a local Macy’s store or visit this subpage for more information. On this TheKnot.com forum thread, for example, the member who started the discussion asked if it was okay to have her makeup done at Macy’s and how much it would cost, and according to the responses, one person, who used to work for Clinique at Macy’s, said you had to buy $50 worth of items to get your makeup done, while another member, who used MAC products, had to buy $50 in products as well. To book a free makeup appointment at your local Macy’s store, you can do so by visiting the official store scheduler. If you’re on a tight schedule or do not feel like waiting while inside of the store, it’s highly advisable you make an appointment as well as know the terms and conditions of the makeup appointment before showing up. During the prom season, the Huffington Post states that you shouldn’t be surprised if there’s a small charge for applications or a cut-off to how many appointments are accepted during the day. The prom season, they said, is often the busiest part of the year and restrictions are often created to keep the area from overcrowding.